More than two dozen members of the Denver Newspaper Guild’s newsroom unit attended a meeting Monday to elect unit officers. 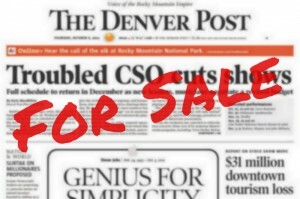 Current contract bargaining between the Guild and the company was discussed, as was the possible sale of The Denver Post. Members voiced their concerns and frustrations about the company’s insistence on freezing the Newspaper Guild International Pension Fund but refusing to provide any form of relief or compensation to members. Terry Frei, Emilie Rusch and Kieran Nicholson were elected to the Representative Council of the Denver Newspaper Guild. Members also decided to form a social media committee. Contract negotiations continue Thursday, Jan. 29.